AN ACT AMENDING CERTAIN PROVISIONS OF PRESIDENTIAL DECREE NO. 1464, OTHERWISE KNOWN AS THE TARIFF AND CUSTOMS CODE OF THE PHILIPPINES, AS AMENDED, AND FOR OTHER PURPOSES. AN ACT TO REVITALIZE AND STRENGTHEN THE BUREAU OF CUSTOMS, AMENDING FOR THE PURPOSE CERTAIN SECTIONS OF THE TARIFF AND CUSTOMS CODE OF THE PHILIPPINES, AS AMENDED. AN ACT REPEALING SECTION 1404 AND AMENDING SECTIONS 1401 AND 1403 OF THE TARIFF AND CUSTOMS CODE OF THE PHILIPPINES, AS AMENDED, RELATIVE TO THE PHYSICAL EXAMINATION OF IMPORTED ARTICLES. Section 1201. Articles to Be Imported Only Through Customhouse. — All articles imported into the Philippines, whether subject to duty or not, shall be entered through a customhouse at a port of entry. Sec. 1202. When Importation Begins and Deemed Terminated. — Importation begins when the carrying vessel or aircraft enters the jurisdiction of the Philippines with intention to unlade therein. Importation is deemed terminated upon payment of the duties, taxes and other charges due upon the articles, or secured to be paid, at a port of entry and the legal permit for withdrawal shall have been granted, or in case said articles are free of duties, taxes and other charges, until they have legally left the jurisdiction of the customs. Sec. 1203. Owner of Imported Articles. — All articles imported into the Philippines shall be held to be the property of the person to whom the same are consigned; and the holder of a bill of lading duly indorsed by the consignee therein named, or, if consigned to order, by the consignor, shall be deemed the consignee thereof. The underwriters of abandoned articles and the salvors of articles saved from a wreck at sea, along a coast or in any area of the Philippine may be regarded as the consignees. Sec. 1204. Liability of Importer for Duties. — Unless relieved by laws or regulations, the liability for duties, taxes, fees and other charges attaching on importation constitutes a personal debt due from the importer to the government which can be discharged only by payment in full of all duties, taxes, fees and other charges legally accruing. It also constitutes a lien upon the articles imported which may be enforced while such articles are in custody or subject to the control of the government. Sec. 1205. Importations by the Government. — Except as otherwise specifically provided, all importations by the government for its own use or that of its subordinate branches on instrumentalities, or corporations, agencies or instrumentalities owned or controlled by the government, shall be subject to the duties, taxes, fees and other charges provided for in this Code: Provided, however, That upon certification of the head of the department or political subdivision concerned, with the approval of the Auditor General, that the imported article is actually being used by the government or any of its political subdivision concerned, the amount of duty, tax, fee or charge shall be refunded to the government or the political subdivision which paid it. Sec. 1206. Jurisdiction of Collector Over Importation of Articles. — The Collector shall cause all articles entering the jurisdiction of his district and destined for importation through his port to be entered at the customhouse, shall cause all such articles to be appraised and classified, and shall assess and collect the duties, taxes and other charges thereon, and shall hold possession of all imported articles upon which duties, taxes, and other charges have not been paid or secured to be paid, disposing of the same according to law. Sec. 1207. Jurisdiction of Collector Over Articles of Prohibited Importation. — Where articles are of prohibited importation or subject to importation only upon conditions prescribed by law, it shall be the duty of the Collector to exercise such jurisdiction in respect thereto as will prevent importation or otherwise secure compliance with all legal requirements. Sec. 1208. Imported Articles to be Received in General Order Stores. — Unless otherwise directed by the Collector, all articles except bulk cargo shall be received in general order stores. Vessels of eight hundred tons and upward, fifteen working days after entry. The working days of a vessel shall be computed by excluding the date of entry, legal holidays and stormy days when in the opinion of the Collector, discharge of cargo is impracticable. Sec. 1210. Disposition of Imported Articles Remaining on Vessel After Time for Unlading. — Imported articles remaining on board any vessel after the expiration of the said period for discharge, and not reported for transshipment to another port, may be unladen by the customs authorities and stored at the vessel's expense. Articles so stored may be claimed and entered at any time within fifteen days after discharge or such longer period not beyond thirty days as the Collector shall approve. If not entered it shall be sold at public auction at the next ensuing regular sale, though at any time prior to sale it may be entered for consumption or warehouse, and be withdrawn upon payment of duties, taxes and other charges, and expenses. Sec. 1211. Handling of Articles on Which Duty Has Not Been Paid. — Except when done under customs supervision, all unlading or transshipment of the cargo of vessels from foreign ports, which do not discharge at a wharf, must be by bonded lighters; and likewise, on land imported goods on which duty has not been paid shall be carried about and handled by bonded draymen or cartmen only. Sec. 1212. Government Plan for Handling Imported Articles. — Government plant for handling articles on or around the customs premises shall be maintained at the port of Manila and at any port of entry prescribed by the Commissioner, when the proper conduct of the customs business shall so require. Where such plants are established, it shall be their function to receive, land and deliver imported articles and to handle the same, so far as may be necessary, while on customs premises. Such plants shall also handle articles for export while on the customs premises, and, in the discretion of the Commissioner, may deliver article abroad vessels for export. Sec. 1213. Receiving, Handling, Custody and Delivery of Articles. — The Bureau of Customs shall have exclusive supervision and control over the receiving, handling, custody and delivery of articles on the wharves and piers at all ports of entry and in the exercise of its functions it is hereby authorized to acquire, take over, operate and superintend such plants and facilities as may be necessary for the receiving, handling, custody and delivery of articles, and the convenience and comfort of passengers and the handling of baggage, as well as to acquire fire protection equipment for use in the piers: Provided, That whenever in his judgment the receiving, handling, custody and delivery of articles can be carried on by private parties with greater efficiency, the Commissioner may, after public bidding and subject to the approval of the department head contract with any private party for the service of receiving, handling, custody and delivery of articles, and in such event, the contract may include the sale or lease of government-owned equipment and facilities used in such service. Sec. 1301. Persons Authorized to Make Import Entry. — Imported articles must be entered in the customhouse at the port of entry within fifteen days from date of discharge of the last package from the vessel either (a) by the importer, being holder of the bill of lading, (b) by any other holder of the bill of lading in due course, (c) by a customs broker acting under authority from a holder of the bill, or (d) by a person duly empowered to act as agent or attorney-in-fact for such holder: Provided, That the Collector may grant an extension of not more than fifteen days. The Collector may, when he deems it necessary for the protection of the revenue, require a formal entry regardless of value. c. Constructive warehousing and immediate exportation. Import entries under bond shall be subject to the provisions of Title V, Book II of this Code. Sec. 1303. Entry of Articles in Part for Consumption and in Part for Warehousing. — Import entries of articles covered by one bill of lading may be made simultaneously for both consumption and warehouse. Where an intent to export the articles is shown by the bill of lading and invoice, the whole or a part of a bill of lading (not less than one package may be entered for warehouse and immediate exportation. Articles received at any port from another port of the Philippines on any entry for immediate transportation without appraisal may be entered at the port of delivery either for consumption or warehouse. a. That the entry delivered to the Collector contains a full and true statement of all the articles which are the subject of the entry. b. That the invoice and entry contain a just and faithful account of the actual cost of said articles, including and specifying the value of all containers or coverings, and that nothing has been omitted therefrom or concealed whereby the Government of the Republic of the Philippines might be defrauded of any part of the duties lawfully due on the articles. d. That, to the best of the declarant's information and belief, the entry, invoice and bill of lading, and the declaration thereon are in all respects genuine and true, and were made by the person by whom the same purport to have been made, respectively. Sec. 1305. By Whom to be Signed. — The declaration shall be signed by the importer, consignee or holder of the bill, by or for whom the entry is effected, if such person is an individual, or in case of a corporation, firm or association, by its manager, or by a licensed customs broker duly authorized to act for either of them. When it is impracticable to obtain a declaration thus signed, the Collector may allow it to be signed by some person in interest having first and best knowledge of the facts. A Collector may also, in his discretion, require that the declaration shall be sworn to by the person signing the same. Sec. 1306. Form and Contents of Import Entry. — Import entries shall be in the required number of copies in such form as prescribed by regulations. They shall be signed by the person making the entry of the articles, and shall contain the names of the importing vessel and master, port of departure and date of arrival, the number and marks of packages, or the quantity, if in bulk, and the nature of the articles contained therein, and its value as set forth in a proper invoice to be presented in duplicate with the entry. Sec. 1307. Description of Articles. — The description of the articles in the import entry shall be in customary terms or communal designation, or, if feasible and practical, in tariff terms, and in the currency of the invoice; and the values of the several classes of articles shall be separately declared according to their respective rates of duty, and the totals of each class duly shown. Sec. 1309. Certification of Invoice. — a. Consular Certification Required. — Invoice required by the preceding section shall, at or before the shipment of the articles or as soon thereafter as conditions will permit, be produced for certification to the consular officer of the Philippines of the consular district in which the articles were manufactured or purchased, or from which they are shipped, as the case may be: Provided, That in the absence of a Philippine consul in the country of exportation, such invoice may be certified by the consul of any friendly country in the country of exportation, or by any responsible official of the country of exportation. b. Declaration. — Every invoice prescribed above shall contain a declaration signed by the purchaser, manufacturer, seller, owner or agent setting forth that the invoice is in all respects correct and true and was made at the place whence the articles are exported to the Philippines; that it contains, if the articles were obtained by purchase or an agreement to purchase, a true and full statement of the date when, the place where, the person from whom the same were purchased and the purchase price and unit of quantity thereof, and of all charges thereon; and that no discounts, bounties or drawbacks are contained in the invoice except such as have been allowed thereon; and when obtained in any other manner than by purchase or an agreement to purchase, the market value on wholesale price thereof at the time of exportation to the Philippines in the principal market of the country from which exported; that such market value is the price in the unit of quantity at which the articles described in the invoice are freely offered for sale to all purchasers in said market for exportation to the Philippines, and that it is the price which the manufacturer, seller, owner or agent making the declaration would have received and was willing to receive for such articles when sold in the ordinary course of trade in the usual wholesale quantities, and that it included all charges thereon; that the number, weight, measurement or quantity stated is correct, and that no invoice of the articles described different from the invoice so produced has been or will be furnished to anyone. If the articles were purchased, or shipped otherwise than in pursuance of a purchase or an agreement to purchase, the declaration shall also contain a statement that the amount in the unit of quantity shown is that which was paid, or the price in the unit of quantity that the shipper would have received, or was willing to receive, for such articles, and that the currency stated in such invoice is the currency of the purchase, or in which the transaction is usually made. c. Making and Signing. — The invoice to be certified in accordance with the provisions of this section shall be made out in five copies and signed by the manufacturer or seller if the articles have been purchase, or by the manufacturer, shipper or owner thereof if the same have been procured or obtained otherwise than by purchase, or by the duly authorized agent of such manufacturer, seller, shipper or owner. d. Purchases in Different Consular Districts. — When articles have been purchased in different consular districts for shipment to the Philippines and are assembled for shipment and embraced in a single invoice which is produced for certification under the provisions of this section, there shall be attached to the consular invoice the original bills or invoices certified by the manufacturer or seller and received by the shipper showing the prices paid or to be paid for such articles. The consular officer to whom the invoice is so produced for certification may require that any such original bill or invoice be certified by the consular officer for the district in which the articles were purchased. e. Disposition. — The original and the quintuplicate of the invoice shall be delivered to the exporter, the former to be forwarded to the consignee for use in making entry of the articles. The duplicate shall be filed in the office of the consular officer by whom the invoice was certified there to be kept until the Secretary of Foreign Affairs authorizes its destruction. The triplicate shall be promptly transmitted by the consular officer to the Collector of the port of entry named in the invoice, and the quadruplicate to the Tariff Commission, through the Department of Foreign Affairs. Sec. 1310. Invoice to Accompany Every Importation over P500 in Export Value. — Except in case of personal and household effects accompanying a passenger as baggage, or arriving within a reasonable time which in no case shall exceed ninety days before or after the owner's return, or in case of other articles brought in for personal use, no importation of articles exceeding five hundred pesos in export value shall be admitted to entry without the production of a duly certified invoice of the kind hereinabove described, or the filing of an affidavit made by the owner, importer or consignee before the Collector, showing why it is not possible to produce such invoice, together with a bond, conditioned upon the production of such invoice within a reasonable time, in an amount prescribed by law, rules or regulations. In the absence of such invoice, no entry shall be made based on the aforesaid affidavit unless the same be accompanied by a commercial invoice signed by the manufacturer or seller or a statement in the form of an invoice showing the purchase price of such articles in the unit of quantity and currency of the purchase, if same were purchased, or if obtained otherwise than by purchase, the market value or wholesale price thereof at the time of exportation to the Philippines at which sold or offered for sale in the principal markets of the country from whence imported for export to the Philippines, and in the currency and unit of quantity in which the transaction is usually made. This statement shall be verified by the oath of the owner, importer, consignee or agent desiring to make the entry, taken before the Collector and it shall be lawful for that official to examine the deponent under oath regarding the source of his knowledge, information or belief, concerning any matter contained in his affidavit, and to require him to produce any correspondence, document or statement of account in his possession or under his control, which may assist the customs authorities in ascertaining the value of the importation or of any part thereof; and in the event of his failure to produce such correspondence, document or statement of account when so required, such owner, importer, consignee or agent shall thereafter be barred from producing such correspondence, document or statement for the purpose of avoiding the imposition of additional duty, penalty or forfeiture incurred under this Code or any other Act in force in the Philippines unless it is shown to the satisfaction of the Collector that it was not in his power to produce the same when so demanded; but no articles shall be admitted to entry under the provisions of this section unless the Collector shall be satisfied that the failure to produce the required invoice is due to causes beyond the control of the owner, importer, consignee or agent: Provided, That whenever it is shown to the satisfaction of the Collector that it is impossible to produce the consular invoice required by this section, the entry of the articles may be effected upon the filing of a commercial or pro forma invoice and the payment of a surcharge provided by section twenty-five hundred and two of this Code. Sec. 1311. Fraudulent Invoice Report. — Officers of the Philippine foreign service having knowledge or information of any case or practice by which a person obtaining verification of an invoice defrauds or may defraud the revenue of the Philippines shall report the facts to the Commissioner, through the Secretary of Foreign Affairs. Sec. 1312. Bond for Subsequent Production of Invoice. — When it is impossible to produce the consular invoice at the time entry is made, the Collector may accept a commercial or pro forma invoice and require a bond to be given for the subsequent production of the consular invoice. In the case of articles dutiable ad valorem the bond shall be in an amount of not less than fifty per centum of the estimated duties, taxes and other charges upon the importation: Provided, That in no case shall the bond be less than two hundred pesos. Sec. 1313. Information Furnished Prior to Entry. — a. As to Classification. — When an article imported or intended to be imported is not specifically mentioned in this Code, the interested party, importer or foreign exporter may submit to the Tariff Commission a sample together with a full description of its component materials and uses, and request it in writing to indicate the heading under which the article is or shall be dutiable, and the Tariff Commission shall comply with such request if it is satisfied that the application is made in good faith, in which case classification of the article in question, upon the particular importation involved, shall be made according to the heading indicated by the Tariff Commission. b. As to Value. — Upon written application of the consignee or his agent, the Collector shall furnish any importer the latest information in his possession as to the value of the articles to be entered at his port, after arrival or upon satisfactory evidence that they have been exported and are en route to the Philippines: Provided, that the information shall be given only if the Collector is satisfied after questioning the importer and examining all pertinent papers presented to him, such as invoices, contracts of sale or purchase, and orders, that the importer is acting in good faith and is unable to obtain proper information as to the value of the articles on the date of exportation due to unusual conditions: And Provided, further, That the information so given is in no sense an appraisal or binding upon the Collector's action on appraisal. Sec. 1314. Forwarding of Cargo and Remains of Wrecked Vessel or Aircraft. — When vessels or aircrafts are wrecked within the Philippines, application must be made to the Commissioner by the original owners or consignees of the cargo, or by the underwriters, in case of abandonment to them, for permission to forward the articles saved from the wreck to the ports of destination, in other conveyance, without entry at the customhouse in the district in which the article was cast ashore or unlade. On receipt of such permission, the articles may be so forwarded with particular manifests thereof, duly certified by the customs official in charge of the articles. If the owner of the vessel or aircraft wishes to export the remains of the wreck, he may be permitted to do so upon proper examination and inspection. The remains of a wrecked vessel shall be considered to be not only the hull and rigging of the same but also all sea stores and articles of equipment, such as sails, ropes, chains, anchors and so forth. Sec. 1315. Derelicts and Articles from Abandoned Wrecks. — Derelicts and all articles picked at sea or recovered from abandoned wrecks, shall be taken possession of in the port or district where they shall first arrive, and be retained in the custody of the Collector, and if not claimed and entered, as the case may be, by the owner, underwriter or salvor, shall be dealt with as unclaimed property. When such articles are brought into port by lighters or other craft, each of such vessel shall make entry by manifest of her cargo. If, in case of wreck there be no customhouse at the point where the vessel or aircraft is wrecked, the coastguard of customs official nearest the scene of the wreck shall render all possible aid in saving the crew and cargo of the vessel or aircraft, taking charge of the articles saved and giving immediate notice to the Collector of the nearest customhouse. In order to prevent any attempt to defraud the revenue the Collector shall be represented at the salvage of the cargo by customs officials detailed for that purpose, who shall examine and countersign the inventory made of such cargo and receive a copy of the same. Before any article which has been taken from a recent wreck shall be admitted to entry, the same shall be appraised, and the owner or importer shall have the same right to appeal as in ordinary importation. No part of a Philippine vessel or aircraft or her equipment, wrecked either in Philippine or foreign waters, shall be subject to duty. Sec. 1401. Designation of Packages To be Examined. — Unless the Collector is of the opinion that the examination of a less or greater proportion of packages will amply protect the revenues, there shall be designated for examination and appraisal, at least one package of every invoice, and at least one package of every ten packages of articles imported: Provided, That nothing in this section shall preclude the examiner from examining additional or all the packages when he deems it necessary to protect the government revenues and public interest. Sec. 1402. Ascertainment of Weight and Quantity. — Where articles dutiable by weight, and not otherwise specially provided for, are customarily contained in packing, packages, or receptacles of uniform or similar character, it shall be the duty of the Commissioner, from time to time, to ascertain by tests the weight or quantity of such articles, and the weight of the packing, packages or receptacles thereof, respectively, in which the same are customarily imported, and upon such ascertainment, to prescribe rules for estimating the dutiable weight or quantity thereof, and thereafter such articles, imported in such customarily packing, packages or receptacles shall be entered, and the duties thereon levied and collected, upon the bases of such estimated dutiable weight or quantity: Provided, That if the importer, consignee or agent shall be dissatisfied with such estimated dutiable weight or quantity, and shall file with the Collector prior to the delivery of the packages designated for examination a written specification of his objections thereto, or if the Collector shall have reason to doubt the exactness of the prescribed weight or quantity in any instance, it shall be his duty to cause such weights or quantities to be ascertained. Sec. 1403. Return of Examining Official. — The examining official shall compare the packages designated for examination and their contents with the invoice and shall make return of the description of the articles covered thereby in such a manner as to indicate whether the articles have been truly and correctly measured and declared and not imported contrary to law, whether or not the quantities are correct, and, in case of articles dutiable ad valorem, whether the prices indicated show the correct value of the articles. Examining officials shall submit samples to the laboratory for analysis when feasible to do so and when such analysis is necessary to the proper classification, appraisal and/or admission into the Philippines of imported articles. Sec. 1404. Duties of Appraisers. — Appraisers shall, under the supervision of the Collector, appraise the articles in the unit of quantity in which they are usually bought and sold, and determine the classification of all such articles of whatever description, whether dutiable or free, which may be presented to them in proper form. Appraisers shall be responsible to the Collector for the correct appraisal of all such articles. They shall see to it that the amounts, classes and values returned by them are in all respects accurate and correct pursuant to the provisions of this Code, and that the rules and instructions of the Commissioner in respect thereto have been correctly applied and followed. Sec. 1405. Proceedings and Report of Appraisers. — Appraisers, shall by all reasonable ways and means, ascertain, estimate and determine the value or price of the articles as required by law, any invoice or affidavit thereto or statement of cost, or of cost of production to the contrary notwithstanding, and after revising and correcting the reports of the examine as they may judge proper, shall report in writing on the face of the entry the value so determined, irrespective of whether such value is equal, higher or lower than the invoice and/or entered value of the articles. Appraisers shall describe all articles on the face of the entry in tariff and such terms as will enable the Collector to pass upon the appraisal and classification of the same, which appraisal and classification shall be subject to his approval or modification, and shall note thereon the measurements and quantities, and any disagreement with the declaration. Sec. 1406. Appraisers' Samples. — Appraisers shall see that representative and sufficient samples of all kinds of articles which may be readily sampled are taken under proper receipt and retained for official purposes; but samples of articles identical in quality, material and values shall not be retained, if their return is desired, longer than may be required for use in contested cases. The quantity and value of the samples taken shall be noted on the face of the entry. Such samples shall be duly labeled as will definitely identify them with the importation for which they are taken. a. Within one year after payment of the duties, upon statement of error in conformity with section seventeen hundred and seven hereof, approved by the Collector. b. Within fifteen days after such payment, upon request for reappraisal and/or reclassification addressed to the Commissioner by the Collector, if the appraisal and/or classification is deemed to be low. c. Upon request for reappraisal and/or reclassification, in the form of a timely protest addressed to the Collector by the interested party if the latter should be dissatisfied with the appraisal or return. Sec. 1408. Assessment of Duty on Less Than Entered Value. — Duty shall not be assessed in any case upon an amount less than the entered value, unless by direction of the Commissioner in cases in which the importer certifies at the time of entry that the entered value is higher than the market value and that the articles are so entered in order to meet increases made by the appraised on similar cases then pending reappraisement; and the lower assessment shall be allowed only when the importer's contention is sustained by final decision, and shall appear that such action of the importer was taken in good faith after due diligence and inquiry on his part. Sec. 1409. Employment and Compensation of Persons to Assist in Appraisal or Classification of Articles. — When necessary, the Collector may request two disinterested persons versed in the matter to assist the appraiser in appraising or ascertaining the value of any article. Persons so employed shall be paid compensation in an amount, to be determined by the Commissioner, not exceeding ten pesos for each day of such service. Sec. 1501. Delivery of Articles to Holder of Bill of Lading. — A Collector who makes a delivery of a shipment, upon the surrender of the bill of lading, to a person who by the terms thereof appears to be the consignee or lawful holder of the bill shall not be liable on account of any defect in the bill or irregularity in its negotiation, unless he has notice of the same. Sec. 1502. Delivery of Articles Without Production of Bill of Lading. — No Collector shall deliver imported articles to any person without the surrender by such person of the bill of lading covering said article, except on written order of the carrier or agent of the importing vessel or aircraft, in which case neither the Government nor the Collector shall be held liable for any damages arising from wrongful delivery of the articles: Provided, however, That where delivery of articles is made against such written order of the carrier or agent of the importing vessel or aircraft, the Collector may, for customs purposes, require the production of an exact copy of the bill of lading therefor. Sec. 1503. Bond Upon Delivery of Unexamined Packages. — To effect immediate delivery of packages not ordered for examination, the Collector may accept a bond in such sum and with such conditions as shall be sufficient to safeguard the revenue. If such security is not supplied, all the packages shall be held until the return is made and duties, taxes and other charges paid. Sec. 1504. Delivery Upon Order of Importer. — An importer of record may authorize delivery to another person by writing upon the face of the warehouse withdrawal entry his order to that effect. Such authority to deliver the article under bond shall not relieve the importer and his sureties from liability for the payment of the duties, taxes and other charges due on the said article unless the person to whom delivery was authorized to be made assumes such liability by the filing of a new warehousing bond. Sec. 1505.Withholding Delivery Pending Satisfaction of Lien. — When the Collector is duly notified in writing of a lien for freight, lighterage or general average upon any imported articles in his custody, he shall withhold the delivery of the same until he is satisfied that the claim has been paid or secured. In case of a disagreement as to the amount due between the party filing the lien and the importer regarding the amount of the freight and lighterage based upon the quantity or weights of the articles imported, the Collector may deliver the articles upon payment of the freight and lighterage due on the quantity or weight actually landed as shown by the return of the proper official or by other means to his satisfaction. Sec. 1506. Customs Expenses Constituting Charge on Articles. — All expenses incurred by the customs service for the handling or storage of articles and other necessary operations in connection therewith, or incident to its seizure, shall be charged against such articles, and shall constitute a lien upon it. Sec. 1507. Fine As Charge on Articles. — No article which is liable for any fine or surcharge imposed under the tariff and customs laws shall be delivered until the same shall have been paid or secured. Sec. 1601. Liquidation and Record of Entries. — If the Collector shall approve the returns of the appraiser and the report of the weights, gauge or quantity, the liquidation shall be made on the face of the entry showing the particulars thereof, initiated by the liquidating clerk, approved by the chief liquidator, and recorded in the record of liquidations. A daily record of all entries liquidated shall be posted in the public corridor of the customhouse, stating the name of the vessel or aircraft, the port from which she arrived, the date of her arrival, the name of the importer, and the serial number and date of the entry. A daily record must also be kept by the Collector of all additional duties, taxes and other charges found upon liquidation, and notice shall promptly be sent to the interested parties. Sec. 1602. Tentative Liquidation. — If to determine the exact amount due under the law in whole or in part some future action is required, the liquidation shall be deemed to be tentative as to the item or items affected and shall to that extent be subject to future and final readjustment and settlement. The entry in such case shall be stamped "Tentative liquidation". Sec. 1603. Finality of Liquidation. — When articles have been entered and passed free of duty or final adjustment of duties made, with subsequent delivery, such entry and passage free of duty or settlement of duties will, after the expiration of one year, from the date of the final payment of duties, in the absence of fraud or protest, be final and conclusive upon all parties, unless the liquidation of the import entry was merely tentative. Sec. 1604. Treatment of Fractions in the Liquidation. — In determining the total amount of duties, taxes, surcharges, wharfage and/or other charges to be paid on entries, a fraction of a peso less than fifty centavos shall be disregarded, and a fraction of a peso amounting to fifty centavos or more shall be considered as one peso. In case of overpayment or underpayment of duties, taxes, surcharges, wharfage and/or other charges paid on entries, where the amount involved is less than five pesos, no refund or collection shall be made. Sec. 1701. Abatement for Damage Incurred During Voyage. — Except as herein specially provided, no abatement of duties shall be made on account of damage incurred or deterioration suffered during the voyage of importation; and duties will be assessed on the actual quantity imported, as shown by the return of weighers, gaugers, measures, examiners or appraisers, as the case may be. Sec. 1702. Abatement or Refund of Duty on Missing Package. — When any package or packages appearing on the manifest or bill of lading are missing, a remission or refund of the duty thereon shall be made if it is shown by proof satisfactory to the Collector that the package or packages in question have not been imported into the Philippines. Sec. 1703. Abatement or Refund for Deficiency in Contents of Package. — If, upon opening any package, a deficiency or absence of any article, or of part of the contents thereof, as called for by the invoice shall be found to exist, such deficiency shall be certified to the Collector by the appraiser; and upon the production of proof satisfactory to the Collector showing that the shortage occurred before the arrival of the article in the Philippines, the proper abatement or refund of the duty shall be made. a. While within the limits of any port of entry prior to unlading under customs supervision. b. While remaining in customs custody after unlading. c. While in transit under bond from the port of entry to any port in the Philippines. d. While released under bond to export, except in case of loss by theft. Sec. 1705. Abatement of Duty on Dead or Injured Animals. — Where it is satisfactorily shown to the Collector that an animal which is the subject of importation dies or suffers injury before arrival, or while in customs custody, the duty shall be correspondingly abated by him, provided the carcass of any dead animal remaining on board or in customs custody be removed in the manner required by the Collector and at the expense of the importer. Sec. 1706. Investigation Required in case of Abatements and Refunds. — The Collector shall in all cases of allowances, abatements or refunds of duties, cause an examination and report in writing to be made as to any fact discovered during such examination which tends to account for the discrepancy or difference and cause the corresponding adjustment to be made on the import entry. Sec. 1707. Correction of Errors — Refund of Excess Payments. — Manifest clerical errors made in an invoice or entry, errors in return of weight, measure and gauge, when duly certified to by the surveyor or examining official (when there are such officials at the port), and errors in the distribution of charges on invoices not involving any question of law and certified to by the examining official, may be corrected in the computation of duties, if such errors be discovered before the payment of duties, or, if discovered within one year after the final liquidation, upon written request and notice of error from the importer, or upon statement of error certified by the Collector. For the purpose of correcting errors specified in the next preceding paragraph the Collector is authorized to reliquidate entries and collect additional charges, or to make refunds on statement of error within the statutory time limit. Sec. 1708. Claim for Refund and Mode of Payment. — All claims for refund of duties shall be made in writing, and forwarded to the Collector to whom such duties are paid, who upon receipt of such claim shall verify the same by the records of his office, and if found to be correct and in accordance with law, shall certify the same to the Commissioner with his recommendation together with all necessary papers and documents. Upon receipt by the Commissioner of such certified claim he shall cause the same to be paid if found correct. Sec. 1801. Abandonment, Kinds and Effect of— Abandonment is express when it is made direct to the Collector by the interested party in writing, and it is implied when, from the action or omission of the interested party, an intention to abandon can be clearly inferred. The failure of any interested party to file the import entry within fifteen days or any extension thereof from the discharge of the vessel or aircraft, shall be implied abandonment. An implied abandonment shall not be effective until the article is declared by the Collector to have been abandoned after notice thereof is given to the interested party as in seizure cases. Any person who abandons an imported article renounces all his interests and property rights therein. Sec. 1802. Abandonment of Imported Articles. — The owner or importer of any articles may, within ten days after filing of the import entry, abandon to the Government all or a part of the articles included in an invoice, and, thereupon, he shall be relieved from the payment of duties, taxes and all other charges and expenses due thereon: Provided, That the portion so abandoned is not less than ten per cent of the total invoice and is not less than one package, except in cases of articles imported for personal or family use. The article so abandoned shall be delivered by the owner or importer at such place within the port of arrival as the Collector shall designate, and upon his failure to so comply, the owner or importer shall be liable for all expenses that may be incurred in connection with the disposition of the articles. 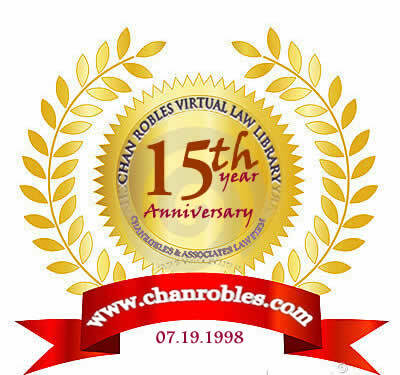 Nothing in this section shall be construed as relieving such owner or importer from any criminal liability which may arise from any violation of law committed in connection with the importation of the abandoned article. Sec. 1803. Right to Reclaim Article. — The owner or importer of an article impliedly abandoned may, at any time before it is sold or otherwise disposed of, reclaim such article provided all legal requirements regarding its importation are complied with and the corresponding duties, taxes and other charges as well as all expenses incurred as a consequence of the abandonment, are paid.